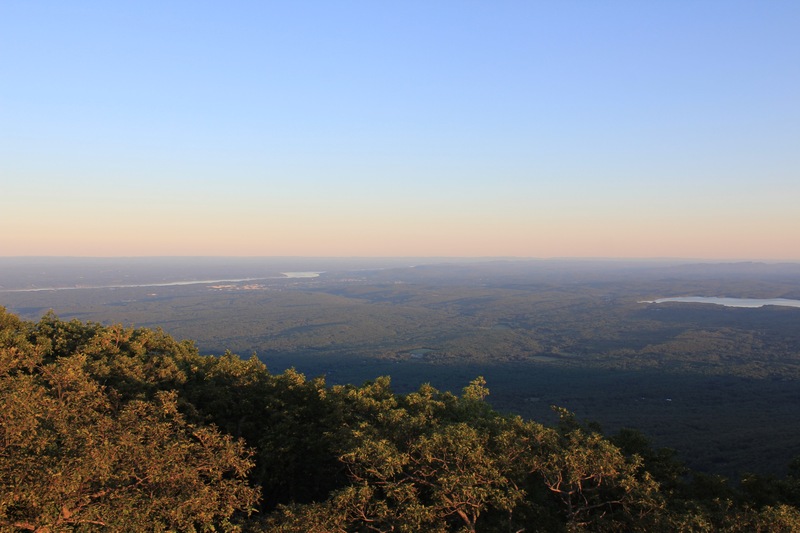 Last night’s gorgeous sunset hike with Jeff Vincent of Catskill Mountain Wild occurred under a full, blue moon with clear skies and hazy sunset viewed from the fire tower atop Overlook Mountain in Woodstock. Go to the NYNJ Trail Conference website or the DEC to get the details of the hike. There’s nothing as quietening on the nerves as a strenuous hike that culminates in a few beers around the fire pit at one of the Catskills best bars, Commune Saloon on nearby Tinker Street. 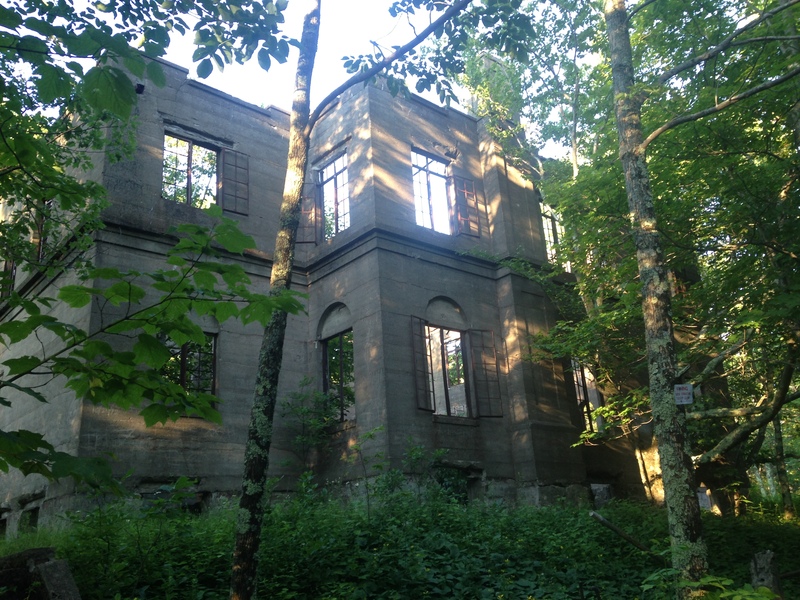 An uphill 2.5-mile battle at a thigh-burning gradient, the hike is worthwhile for the magnificent ruins of the Overlook Mountain House about half a mile from the summit. The hotel was built almost 100 years ago but swiftly abandoned by the developer mid-project. The trail is lined with burdock and mullein, but beware of the rattlesnakes. Once you ascend the fire tower you have almost 360-degree views of the Ashokan Reservoir, the Hudson River and the easternmost Catskill Mountains, once called the Blue Mountains for their blue hue. The 2.5-mile descent was under the gaze of the full, blue moon. 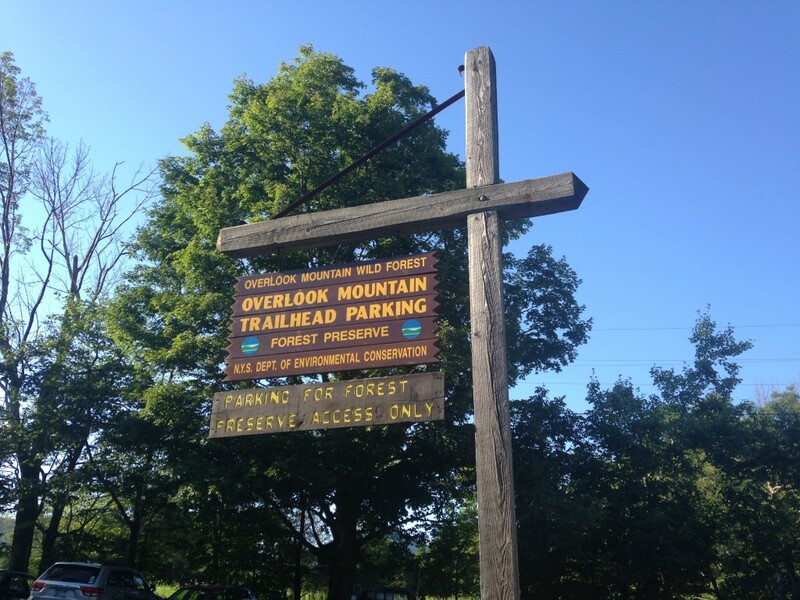 A great hike to take visitors; the summit also includes a historical kiosk manned day and night by volunteer watchmen. 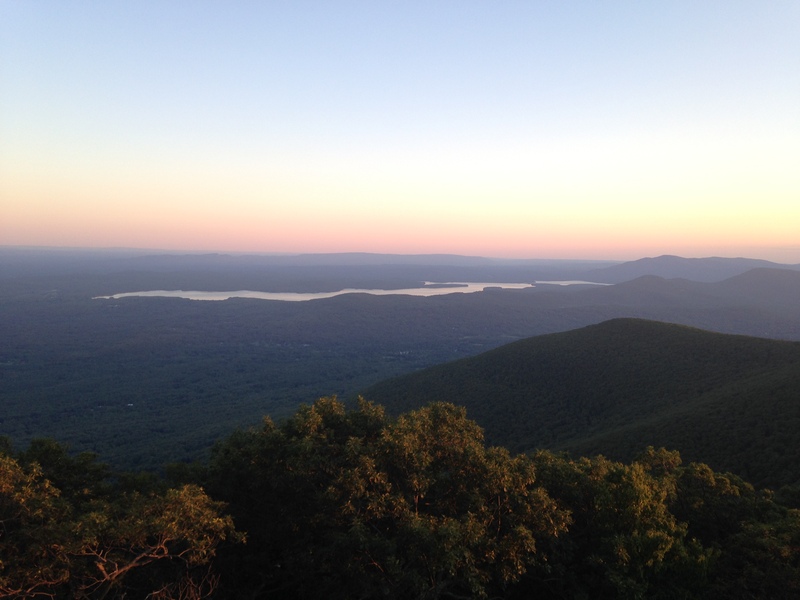 This entry was posted in Hiking The Catskills and tagged Catskills Hiking, Catskills Photography, Hiking, NYNJ Trail Conference, Photography on August 1, 2015 by JNUrbanski.